We recently learned my little one should have been delivered via emergency c-section, so the guilt can be overwhelming at times. Needless to say, I pray. ALOT. I remind myself that my blessings far outweigh the obstacles and challenges, and thank God for my miracle (specially made for us) every day! LaShonda, how could you ever have known your baby needed a C-section? You couldn't have. Neither could I (Max also had a non-emergency C-section). And I'll bet you had a good doctor, too, as did I.... "The blessings far outweigh the obstacles" is something all of us should repeat to ourselves, daily!!! Yes, yes, yes! Especially as Boo is undiagnosed for a long tome I wondered what I did/didn't do during my pregnancy. When the geneticist told us there was an unknown abnormality on her DNA it was actually a relief. I still wrestle with guilt as far as am I doing enough and wonder if there was something I could have done to prevent Boo from having to struggle so hard. I hope you get answers someday, Kerri. Meanwhile, what we do/don't do for our kids is a whole other layer of guilt that I still struggle with, too. I like to say that I'd like my tombstone to read "She did ENOUGH." !!! I did at first, yes. But, my boy has a genetic disorder caused by a random chromosomal mutation. It wasn't the fresh sushi that my OBGYN okayed, or the bronchitis I had in my third trimester, but it took me YEARS to get to this point. Sometimes, things just happen, and I'm not going to let anyone make me feel guilty about it. Damn straight. I escaped sushi guilt because Dave wouldn't let me eat it during my pregnancy. He's a very chill guy but he was just plain paranoid about it. Going thru this right now. My son, Grant is 3 years old and Globaly Developmentally Delayed. When he was born he developed a pneumothorax and he turned blue...I didn't ever realize it until I later looked at the pictures. I feel so guilty, how did I not notice or see it when it was happening. A year later, our developmental pediatrician says that has nothing to do with his delays... But now I have a new form of guilt. He has a genetic mutation that can only come from his mother. Still not even sure that this is the true cause of his delays, but it definitely weighs on my mind. But we are moving forward and Grant is doing great & making great strides & hitting new milestones all the time. Within in the last month he started walking independantly & I couldn't be prouder and happier for him! Most days I am happy & don't let the guilt take over, but we all know that some days are harder than others. It's nice to hear some many others go thru the same things. Oh, yes, there is much comfort in numbers. More importantly: GOOOOOOO GRANT!!! Grant is Max's middle name. It is such a strong name. I know I pondered what I did during my pregnancy and I just couldn't make heads or tails of it all. Similar to what Kerri said, receiving a diagnosis of Rett Syndrome lifted a huge burden from my shoulders because it was a genetic mutation that I did nothing to cause and could do nothing to prevent. Unfortunately, like Kerri, I also battle the guilt over how much I do for her and if it is enough. It is in those moments that I have to remind myself that I am not just Rae's mom. I am a wife, a daughter, a sister, an aunt, a cousin, a niece, a friend, and most importantly I am my own person. I have to find balance between all those titles because each one brings it's own rewards which help carry me through the frequent valley's I travel though. Our son had a fantastic pediatric neurologist who told me right off the bat that I could not have caused it in any way. That definitely put me at ease. This must be a very common concern as I never asked him -- he just mentioned it. I did follow up by asking him if the wine I consumed at a wine-tasting event before I knew I was pregnant could have contributed. He told me that if that were the case, he would see thousands of cases like my son's a year. My greater concern is wondering whether I'm doing enough for him now. But, back to the beginning -- the comforting words of a fantastic doctor made a huge difference. OK, that is one FANTASTIC pediatric neurologist, Lisa P. We have one, too, and I am sure if I'd ever told him about my fleeting guilt he would have talked me off that ledge. My son's stroke happened in utereo - I was told it was a probably a blood clot that went through the umbilical cord. Talk about guilt. Oy. Fourteen years later I still wonder if I could have prevented it, but I've let go of the certainty that it was something I did (or didn't do). Oh, Megan, who could have known? Even if you have a blood clot mutation (I do), it's not something doctors test for. I am glad you've been able to let go of the guilt. My almost 9 year old son with spastic quad cp has always been at the forefront of my thoughts. For several years I blamed myself for what happened to him and I've questioned if there was anything that I could have done different. I developed HELLP syndrome around week 30, and he was delivered by emergency c-section at 33w2d. He was blue and unresponsive. We don't know how long he went without breathing. It took 10 minutes to get an apgar score of 6. However in the past year I have come to the conclusion that only one of two outcomes would have happened. Either 1: He would be just the way he is and I would work my entire life to make sure that he is loved OR 2: He would have never left that hospital/survived. I'm not an overly religious person, but I do think that God (or whoever) knew that I would not have been able to survive had I not left that hospital with him. So, I got my miracle in the only form I could. I was lucky he even survived. I've always looked at is as he was born dead, and they brought him back to me. It can get very tiresome and lonely sometimes, but I just remind myself that at least I have him. I am sorry for the trauma you went through, Jerri—and I am glad for your miracle. I hope you continue to find community and comfort online, as many of us have. Early on, a (former) friend said of my Aspie/ADHD son, "You're off the hook. He's adopted." I was really offended. A) I didn't think I was *on* a hook and b) I disliked the way she differentiated him as anything other than my son. Do I ever wonder what his birth parents may not have disclosed about family history? (This is an open adoption but the decision to share information is up to the individuals on both sides.) Of course. But I love him and do everything I can to help him. I realize I'm speaking as an adoptive mom. I'd like to think I'd be able to feel the same if he carried our genes. You would. My son was born with ADHD and Aspergers. There was nothing I could have done differently. I'm his bio mom. Thank you. Just...thank you. I needed to see this today. I think for me, having kids with autism, the blame game is a big part of the diagnosis. Aside from a few genetic things, the cause is still up for debate. Was it all those ultrasounds I had during my high risk pregnancy? Was it the lack of folic acid and iron while I suffered hyperemesis for 30+ weeks? Was it the vaccinations? Was it not breastfeeding enough? Was it living too close to a busy road? For the most part, I try not to focus on the "Whys", because in the end, it doesn't change anything for us. The boys have autism. We deal with it. Period. It's when a crunchy mom friend (with NT kids) goes on a diatribe on her Facebook page about how x, y, & z are causing autism, without thinking about how that status hits me like a ton of bricks. Would I have opted to *not* have those ultrasounds to make sure my babies were not in the throes of TTTS and on the verge of death, just in case there was a great chance of a developmental delay? No. So, I do a lot of hiding of people on Facebook. There are some who always seem to trigger the blame game, and I work so hard not to go there. Because, it is what it is. Autism or not, my boys are awesome kids. I will happily take the "blame" for that. Hear hear! I do a lot of hiding too. Even if we found out tomorrow what caused my son's autism (which was at least partially genetic in his case), I don't care. It doesn't change anything. Wish we'd see less fighting about causes and more money towards support. Exactly. So many moms work so hard to avoid things that they believe will cause autism, but they drop the ball when a fellow parent is looking for support when going through evaluations and diagnosis. I need someone who will give me a hug and tell me my kids are still awesome and recognize that I always have their best interest at heart. I wonder how different the conversation would be if the Wakefield study had never been published? I have written about the retracted Wakefield study and gotten slammed for it, he sure has a devoted following—including moms who cling to his disproven research because they want the reassurance that they KNOW what causes it. Maya, I'm bummed to hear about the therapy challenges... Have you been able to fight the insurance company at all? Sometimes, I've found, they need to hear that therapy now will prevent a lot MORE therapy down the road (i.e., it will save them $$$). My son also had a stroke in utereo. When I was 9 months pregnant his "Dad's" other girlfriend called me to tell me about herself. My blood pressure sky rocketed and so did my sons. I still kick myself for waiting 3 days to go to the hospital because I did not anything was wrong. I also kick myself because I always knew somewhere deep down he was cheating but I was not strong enough to leave. My identical twins have an inherited syndrome, Fragile X, that I passed on to them. Female carriers have a 50/50 chance of passing the FX gene on to their children and I can't help but wonder stupid things like, if I ate healthier, or if I exercised more, or if I had more positive thoughts, could I have made a "good" egg become available that month, instead of a "bad" one? It is amazing how irrational we can get, even though we KNOW we are being irrational. Why isn't there a guilt "OFF" button?! Hi Ellen -- thanks so much for sharing this. It makes me sad that so many mothers are consumed with the idea that they "did" something wrong that resulted in their child's disability. I made myself sick with worry the first couple of years of Ben's life, thinking a medication I was on had in some way contributed, even though his genetic change is random and occurred at conception, and there is some research to show that it's more likely that the genetic change occurred in the sperm which undergoes more cell division. I think even when I finally accepted this, then I had to grapple with why this would happen to good people like my husband and I? If there was no reason to pin it to, why did our family have to face these extraordinary challenges? I read a book called the Black Swan which is all about how random, unpredictable events are much more common than we like to think, but as humans we always try to create a back story for why they happened so that we can comfort ourselves that they won't happen again. Somehow the perspective of how prevalent random events are, helped me. It also helped to know that we don't know the cause of up to 70 per cent of all birth defects, most often there are multiple causes, and to simply recognize that every mom wants what's best for her baby. Louise, that sounds like a great book, I'm going to pick it up. After Max was born, someone gave me the book When Bad Things Happen To Good People and I was so depressed by the title alone I never read it. My kiddo has Down syndrome, so it happened at conception. I remember a doctor (that we never saw again!) telling me that a mother's egg was to blame more than the father and so I did feel a lot of guilt the first few months. But after I started reading about Ds, I realized that doctor's words were wrong. That didn't stop the guilt though--I still wonder if there was something I could have done. But my kid is fantastic and funny, so I will gladly take credit for that! What an awful, awful doctor. I once went to one who told me that the only other moms he'd ever met whose babies had strokes were crack moms. !!! Never went back to him, either. I smiled at what you'll take credit for—we all need to think more like that! I will take credit for Max's sense of humor and determination, and partial credit for his good hair. WOW!! Dr.s can be so insensitive! When my sister was born, back in the early 80's, the dr. didn't even suggest Ds until my mom questioned it. She had worked with children with special needs and was aware of many disorders. After the genetic testing came back, the dr. told my parents that my sister was a mongoloid... to which my mother replied... no, she is a little girl and she is our daughter! It amazes me that even after 30+ years of development, people, including drs can be so ignorant and hurtful! as the sister of a person with special needs, i thank God everyday that i have the sisters i have! Anna has taught me soooo much about life that i don't know i would have been able to learn from any "typical" person! Anna is the reason I love so freely, she is the reason i decided to become an SLP, and is also the reason I want to adopt a child with special needs! I believe that God had a plan for our family, and I am so glad that He knew what was best for us! God often chooses things for us that we would not choose for ourselves and blesses us beyond what we could imagine! Siblings of children with special needs may have it the best in the world! Although it can be hard, we learn to love unconditionally, accept people for who they are, and we can be some of the biggest advocates for our siblings and others with special needs! It hurts my heart to know that so many parents still blame themselves for the difficulties that their AMAZING children were born with! I guarantee you, Anna does not blame my parents for the challenges she has endured, just like i don't blame them for the challenges i have endured. Everyone is born to endure challenges, some peoples are just a little tougher than others! I remember being told that because I was a teen mom, THAT'S why he was diagnosed with global delays. Seriously? Way to make a person feel absolutely horrible and guilty. Who knows what caused it, every test has come back normal. Maybe I ate too many frozen pizzas? Maybe too many cherry Icees? I felt guilty for a long time and now it just is what it is. He's our son, no matter what. WTF?!!! I am so sorry you had to hear that from anyone, Mandi. Mind-boggling. I have four all with at least one diagnosis. Three with several. It was easy to blame my ex husband for all of the ADHD/BP stuff because it DOES come from his side in this instance. The latter diagnosis however were harder to pinpoint. Spiderman's diagnosis of Juvenile Dermatomyostitis came out of the blue as did his twins with Lupus the following year. When Spiderman had his stroke it was caused by a physician placing a port catheter in the carotid instead of the subclavian. So I did have someone to blame in that instance but I had OPTED to let him have the port because of his disease. So then wasn't I to blame for his stroke? You can see how the blame game goes round and round but never takes you anywhere?Just love yourselves, and your kiddos.That's all I've got. When Bethany was diagnosed with a brain tumor and the Dr's all told us that she was probably born with it, I started to wonder if I had done anything to cause it, like standing in front of the microwave or eating some cancer causing chemical while pregnant. What helped me was talking about it and just realizing that stressing over what I should have done differently wasn't helping her. I still feel guilty about other things though! Oh, yah. I get pangs of working mom guilt. It is interesting how guilt is such a woman thing; I don't think Dave ever has working dad guilt. I've never spent too much time thinking about whether Jessie's apraxia and developmental delays were my fault, but oh how I feel guilty each and every day that I am not doing enough for her now. I work full-time, am basically raising my two children alone, and can't find enough time or energy to add in more therapies to the ones she receives in school. It's a daily struggle for me...or shall I say nightly...around 3 a.m. usually. Amy, since I know you IRL I can say with full certainty that you are a GREAT mom and we can only do as much as we can do for our kids without self-destructing. Also, Jessie has come a long way since she was a tot and you deserve credit for that, so take it! I felt so much more guilt when Max was little. I hope you grow out of it too, Deb. When my husband & I decided to become parents, we knew that there may be a possibility that I could pass on the hemophilia gene because I had nephews with the disorder. His family wasted no time in bashing me over the head with guilt, which only added to my own self-loathing. As I have done with so many other parts of this journey, I allowed my faith to speak the truth into me, and have written a number of blog posts on the topic: http://www.comfortinthemidstofchaos.com/search/label/guilt If we really want to be honest with ourselves, can we ever feel 100% adequate to meet our children's needs? Probably not. But at least now I realize that blame & self-condemnation have never moved us forward in any sort of productive way. Our lives are sweet, just the way they are. I feel guilt. How could I not? My little man's disability is due to my recessive gene. I didn't know I carried the recessive gene, and because of me, he will struggle his entire life. That is always hard to swallow. Trying again is out of the question, if I feel this guilty when I didn;t know, how can I take a chance KNOWING? Anyway, I understand the guilt. Sometimes I get past it, it isn't very rational, but as a mom I hate my child suffering, let alone suffering because of something I "gave" to him. I was just having a separate discussion with another mom about how our kids' disabilities are often harder on us than they are on them. I hope that knowing you do everything you possibly can for your son gives you comfort. My son has spina bifida. People have told me "you know, if you just take folic acid it prevents that"...like it's some kind of miracle birth defect preventer! I feel tremendous guilt over not taking folic acid before getting pregnant, but taking it doesn't prevent it every time...there are plenty of women who took folic acid and their child still got SB. I know I shouldn't feel guilty, but I do. It makes it worse when people (usually young women or moms) say stuff about folic acid to me. I wish I could go back in time and take it before he was conceived. The spine zips closed around 28 days gestation, so by the time I found out I was pregnant and started taking vitamins, it was too late, he had SB. I do feel like I could have done something and didn't - so yeah, there's a fair amount of guilt about that. Truly horrified to hear people would make comments to you about folic acid. The medical knowledge and advances we have now can be a double-edged sword when things don't go as planned, because they give the impression that we/medicine have the consummate power to prevent.... Nature has its own mind. When I've told myself that, it's helped. oh! the guilt! what don't we guilt ourselves about? I think that it's part of good mothering. It's part of our attempt to take it all on for them and remove that burden from them by placing it on ourselves. I feel guilty when I don't spend enough time with my affected children. I feel guilty that I don't spend enough time with my unaffected child. I feel guilty about their diagnoses. 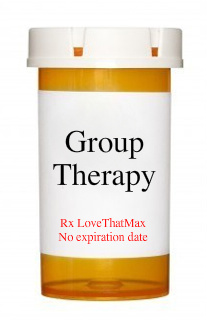 I feel guilty that I put off adding extra therapy that might be helpful because I already feel overwhelmed. I also feel guilty for not trying to do more regular activities. I feel guilty for feeling sad and sometimes for being happy. I feel guilty when I cry, complain, and even sometimes when I have too much fun. It's all part of the cycle of grieving and, unfortunately, returns in true form like the many other stages of grief. Thank you so much for bringing us together to relate and release!! Thank you for reminding me how "normal" it is to have these feelings that are so hard to wrestle with and bring into the light. I find, like others have already said, that my guilt comes more now from not being able to do enough for my 4 year old with CP. Or not giving his brothers as much attention as they deserve. When I find myself retracing my steps in the "how did this happen" cycle I try to remind myself that blaming myself will not change it and to just enjoy what I can and let go of the rest. But it is a struggle - every. day. Thank you for sharing this...yes, my daughter has not been diagnosed yet, we are still in the assessment process due to her autistic like symptoms..but my immediate reaction was to wonder if the Baby Einstein videos she watched had contributed among other things. This was definitely comforting to read. Thank you, thank you. I worried about Baby Einstein too. "There is no point in dwelling on things I can't change, I try to focus my energies on the things I can change" -- YES. This. Everyone here should say this out loud to themselves. And then do it again. And again. I feel guilt all the time. I was supposed to be on bed rest but didn't follow it very well. I was severely affected with postpartum depression and didn't do much with him as an infant other than feed him and change him. I tried to breastfeed but couldn't because he was so early. I have so many AP friends who all think breastfeeding is the "cure" for autism and I just want to hit them. I have so many friends who think vaccinations are the reason for it and I want to hit them too - we delayed vaccinations until DS was 4 and it didn't help. It doesn't help that every time I tried to voice that I felt something was wrong with DS, my mom would say "no! he's fine! you were so much worse as a baby!" When we finally got his diagnosis last year, she was like "oh yes, I have known that all along." REALLY?! Way to make me feel like an awful parent! This hasn't come up in discussion but I hope that anyone who has consuming guilt that isn't going away sees a therapist. I know that it's hard to find time when you're juggling all your child's therapies, but it's so important to take care of your needs, too. If you're a wreck of a person, you can't be there for your child. I saw a therapist for a few months when Max was a baby to deal with grief, and it really helped. Thank you so much for this post. My son was just diagnosed with Autism and SPD only 7 months ago and it has been a struggle to come to terms with it and realize it is not my fault. He also has a speech disorder and a feeding disorder. I still feel guilty at times and think this has somehow got to be my fault. It has to be something i did wrong during pregnancy or that I ate wrong or I didn't follow all the "rules" of pregnancy. I just struggle with wondering why my precious baby has to struggle like this. I have also held guilt for a long time about a miscarriage I had before my son. I wonder if I did something wrong or if I had done something different could it have prevented it. I still wonder at times. I think these will be struggles I will always have, but I know deep down these things are not my fault. My 2 1/2year old son has therapy 9 times a week and it has taken years of fighting for him and getting him the therapy he needed and still needs. I know doing the best for him is the best I can do. Oh and I just saw your post about seeing a therapist and I do see a counselor. I have been for awhile now, and it is amazing thing! i come from a different perspective, but have some of the same guilt. both of my daughter's were adopted. both of them have genetic disorders. my big's was a complete surprise. at nine months we were at a geneticist and we got blindsided with the diagnoses of neurofibromatosis. i read (and read and read and read), and felt guilty that i didn't see things earlier, and if i had could i have prevented.....what? it happened at conception, not after birth. yet i still struggled. with our little, we intentionally set out to adopt a little with Ds. she got really sick with a virus (that her big sister had, had, and had gotten at a story time she went to with a friend). as a result of the virus and an unrepaired heart defect, she ended up almost dying, intubated for nine weeks, and in the hospital for 96 days. we were in the hospital a year ago right now, and i feel like the worst parent alive because it caused her to be further delayed, and she lost the ability to eat by mouth. amazing how two different people examining the same thing can see two totally different things. When i read this, i automatically think how lucky your children are! Reading about your younger child, I automatically think how lucky she is to have you as parents and to have been in your care when she got sick, otherwise who knows if she'd even be here today! Delays are things that we can deal with! I am just so happy your children have you! Again, as always great blog! I think as parents we always blame ourselves when everything is not perfect with our children. We are their parents, we are to protect and provide for them and for me it is very difficult to get past the feeling that I failed our Ellie. I had severe pre-eclampsia and was induced at 34 weeks for my own health. 3-4 Dr appts a week and we trusted our multitude of Dr's that she was "OK" to be born. I often wonder maybe it was that day I forgot to take my meds,, maybe if I would have been more strict with bedrest I could have lasted longer! I work in healthcare and I should have been able to prevent this from happening! It was very hard to not blame myself when the specialty pediatrician told me her CP was caused in utero. My body did something wrong during her development. One day I found peace that no matter what I did this is how it was just meant to be when someone actually said to me "who better of a person for this to happen to! ", I of course initially wanted to rip her head off, how dare you say such a thing. After a few days of stewing I realized maybe she was right, just not tactful! Our family and friends have accepted Ellie, we can financially support her needs and working from home she has opportunities to go to group activities and I can attend all of her therapy sessions; something not every parent or family can do or provide. It is disheartening to think not all children like our Ellie have the opportunity to be all they can due to lack or resources or just love for who they are! I still struggle with blaming myself, but I do believe everything happens for a reason and I believe Ellie (special needs and all) was meant for our family! Autism is a stealth ninja. You can never tell it is there until age 18 months or something like that. I like being autistic. I know my daughter's syndrome was just a flaw of nature but I have often felt it was my fault. I have grown to accept that it's just one more thing in life I never had control over. I am a little late to this discussion but just found it! I am overcome with guilt to the point that I can barely even function. My son's brain did not form properly. I went through a rough time in the middle of my second tri when my thryoid went crazy and I started having panic attacks. The doctor misdiagnosed it as depression and slapped me on a heavy dose of antidepressants which made the symptoms worse. I started thinking that maybe I couldn't handle another baby, even though he was planned. Sometimes I would push on my belly out of frustration, just wanting the feelings to go away. Finally, I found out my thryoid levels were double were they should have been and that was causing all of the anxiety. Thyroid medicine got me back to myself and back to complete excitement over the baby. Then when he was 9 months we got the diagnosis. Several doctors have told me his condition formed before any of that, probably early in the first trimester wen the brain is first forming. they have told me there is no way pushing on my belly could have caused this either. But I don't know if I will ever believe them. I cry most of the day, every single day, because of the guilt I carry over those aweful 3 weeks. I don't know if I will ever feel that it is OK to smile again, or be happy, or enjoy life because I believe I ruined his chance for a beautiful, normal life. And all of those feelings were so outside of who I thought I was as a human being. Now I just think I am some sort of monster. I hope this is just a stage in the greiving process and that one day these feelings won't seem rational, but they sure feel like truth now. I just wanted to thank you for the post, and for all of you Moms encouraging each other and us all. I really needed to read this today. I pushed against my stomach against an old dishwasher without thinking....dent in head and possible Cerebral Palsy...how do i get past this??? Dear Anonymous, I also had severe panic attacks during my pregnancy. There is so much I blame myself for and my daughter had birth trauma and continuous pain for 24 years now. Please forgive yourself and know you are a good person who was misdiagnosed by the doctor and also that you are Human. We have all done things that we regret. It is so hard to live with this guilt. You were simply a woman in mental and emotional pain - if you had been able to control this, you would have. Your posts show me how sensitive you are and how much you need to love and forgive yourself. We are all human and make mistakes. At the time we react we don't understand the consequences. I live in pain each day for my mistakes too. I hope to forgive myself someday and what helps me sometimes is knowing that I would forgive a friend so easily, so why not myself? "Serenity to accept the things we cannot change..." I feel your pain but I don't want you to suffer from it anymore, but go on to be the best you can from today on and to give yourself love and hope, as you would to a friend. Love your child and run towards, not away. You are a good mother who went through a very bad time. p.s. forgot to say that I very much agree with the doctor that you could not have caused this....even if you pushed at the corner of the old dishwasher! With all the amniotic fluid and layers of skin, fat we have (even if skinny), the babies are so protected by layers. I am so sorry your son has these problems, but I truly don't believe you are to blame. And even, if you were responsible, which I don't believe you are, I would still stand by my first post to you. You are a loving mom who plainly went through a difficult time - don't let yourself believe otherwise. Just do the best you can. In order to do that, you need to forgive yourself. My son has global developmental delays and next month we go to the neurologist. When he was 2-3 months old, I fell asleep while feeding him in the middle of the night and he rolled out of my bed and onto the floor. I freaked out then but haven't thought much more about it until now. He is happy and otherwise healthy, but if they find anything I will never be able to forgive myself.